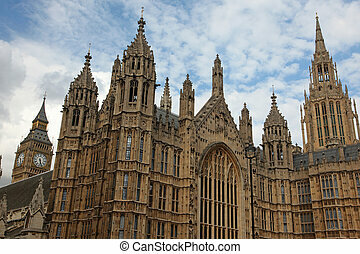 Houses of parliament in london. 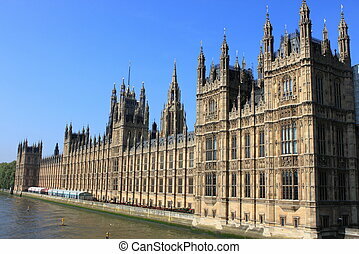 The Houses of Parliament in London. 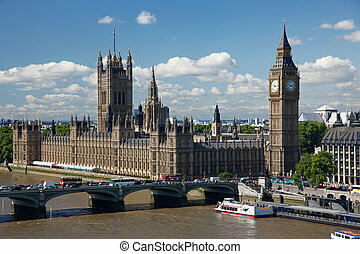 Big Ben (Houses of Parliament) in London. 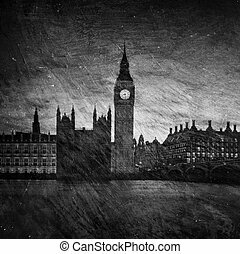 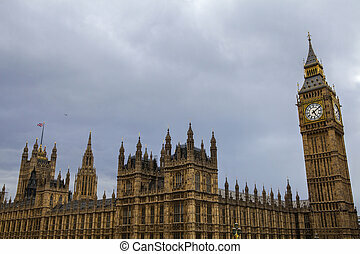 The Houses of Parliament in London under a grey and stormy sky. 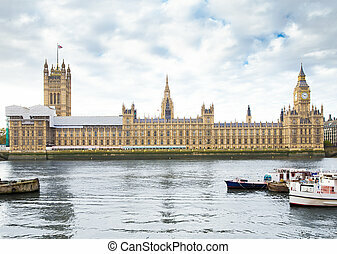 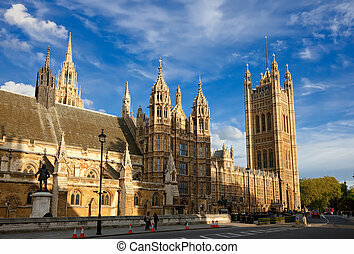 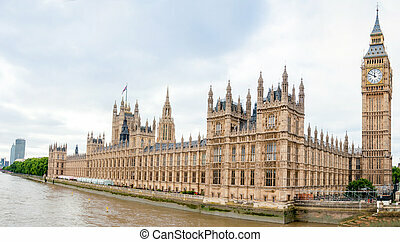 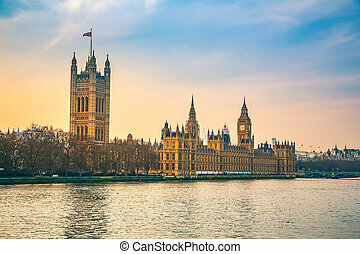 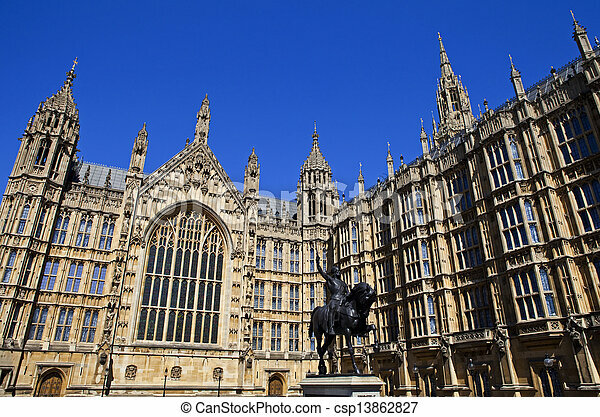 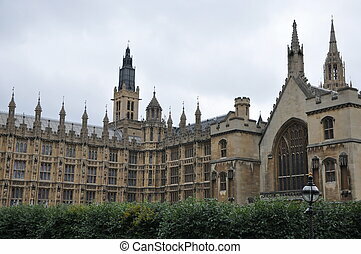 A view of the West side of the Houses of Parliament in London. 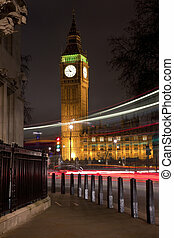 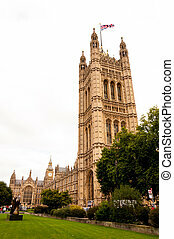 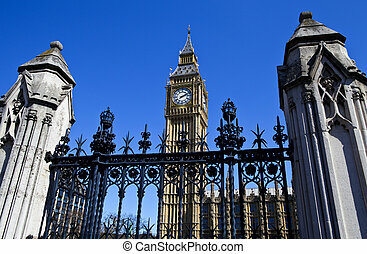 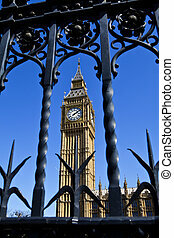 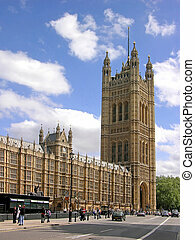 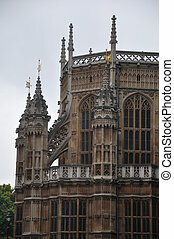 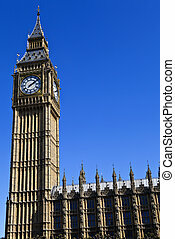 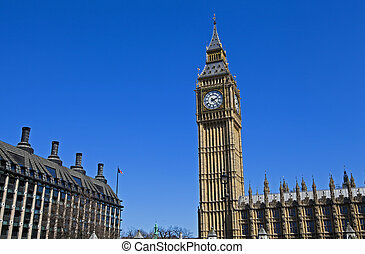 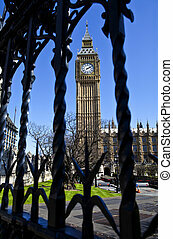 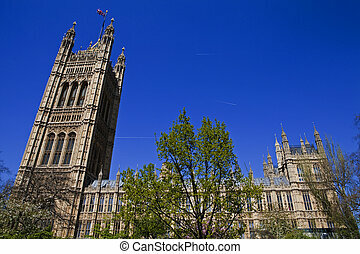 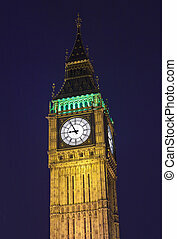 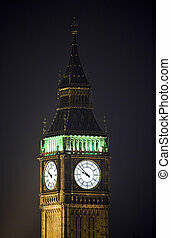 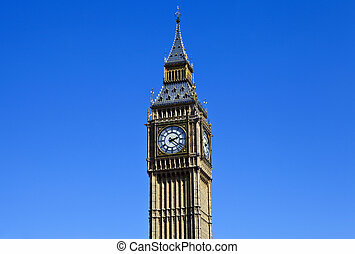 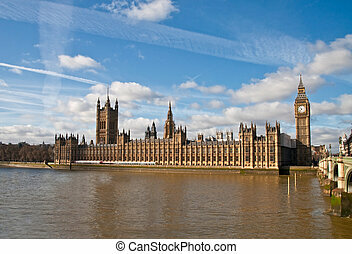 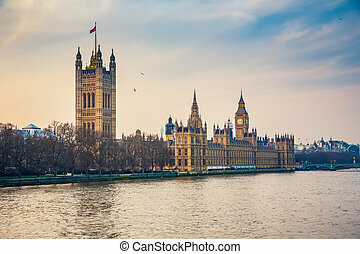 The Elizabeth Tower, which contains the iconic bell named Big Ben, at the Houses of Parliament in London. 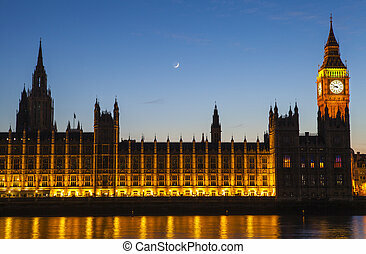 A dusk-time view of the Houses of Parliament in London. 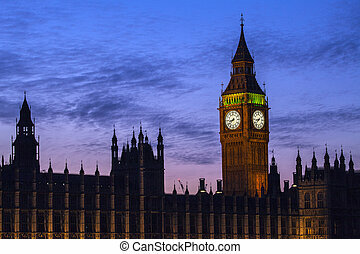 A beautiful dusk-time view of the Houses of Parliament in London. 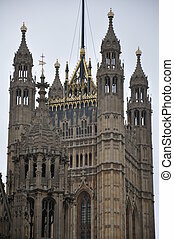 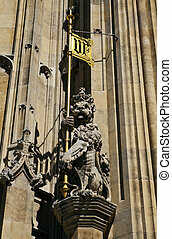 Looking up at the beautiful architecture of Big Ben / Houses of Parliament in London.